LOVE this probiotic for my baby. Happy knowing its helping build her immune system and overall health. Easily dissolves into bottle. Definitely would recommend to a friend! 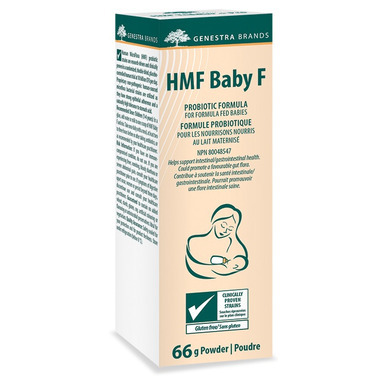 Used this probiotic with my first son (he was formula fed) and will use again with baby #2! Easily stored in the fridge, easily added to bottles once a day, and he really did seems to benefit from taking this daily. His fussing stopped during feedings and whether it can be attributed to the probiotic or not, he only had 1 little cold in his first 5 months (over the winter) and generally remained very healthy and illness-free! I was having some issues with my daughters infrequent bowel movements for quite a long time. After trying everything, the doctor advised me to start giving her a daily laxative. Skeptical, I searched for a probiotic and found this brand. Surprisingly this stuff actually worked the first day I gave it to my daughter. I'm happy to report she has been doing a poop everyday!